Diamonds may be a girl’s best friend, but garments and shoes are definitely not an unwelcome acquaintance. It is well known how easily ladies can fall under the enchantment of the colorful world of fashion, but this spell isn’t woven overnight. Countless hours of research and development are spent looking for the next trend, the future color, the new stylish pattern. This gargantuan effort begins not in the studios of fashion designers, but well before; in the laboratories of the tanneries and the companies that make the fashion world’s raw materials: leathers and fabrics. 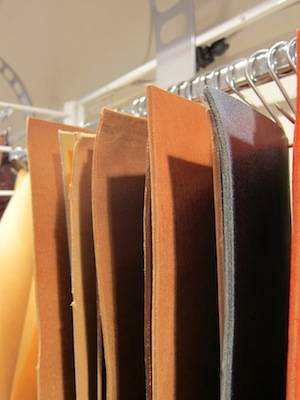 When it comes to leather, Italy is the reference point of the market. Though there are other countries that are strong leather producers, the qualitative pinnacle in this field is definitely the Bel Paese. Tanneries can be found all over the Boot, but the main leather production district is in Tuscany, in the village of Santa Croce sull’Arno. From this area comes the core of Italian Leather System, a consortium that reunites the best Italian tanneries and companies revolving around the leather market, and the mind behind “Arts&Tannery”, the expo held at the Midtown Loft & Terrace, on 5th Ave. and 29 St., on February 22 and 23. Arts&Tannery can be defined a boutique expo. Avoiding huge crowds, dispersion, and often the risk of being copied that are present at bigger events, this show gathers roughly a dozen Italian companies and targets itself toward a very discerning clientele, offering them the possibility of viewing the new collections in an intimate atmosphere. Thanks to this formula, the buyers have more time to browse the products and to talk with the producers, thus increasing the overall efficiency of the expo. i-Italy went to the inauguration of the event, on the morning of February 22. Marco Alberti, Vice-Consul of Italy in New York, was present for the occasion, as was Aniello Musella, director of the Italian Trade Commission, who found time to chat with us. 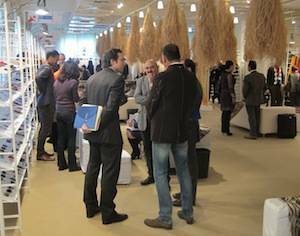 He pointed out how this kind of expo strengthens the relationship with existing buyers, while at the same time tickling the interest of new potential customers who do not usually come and visit expos in Europe. This expo formula may be applied to many consumer goods, however he underlined that in order for such an event to be effective, the organizers need, first of all, to be perseverant: the success of the initiative will not happen overnight and, especially, a huge PR work is fundamental. Secondarily, they have to provide a reason for the clients to come and visit this kind of show, something different than what is found at the bigger exposition; in this case the quality of the companies and products. Musella also stressed the technological level of the research in this field: it involves research on new machineries and new chemicals, and not simply “drawing” new styles. We also spent some time with the exhibitors. Even though the crisis did not hit this sector as hard as it did many others, it was definitely felt, especially during 2009. However, while walking through the stands, the general feeling we had was of mild optimism. We chatted with Lorenzo Cotrozzi, trend forecaster and speaker at the event presentation conference. Like Musella, he stressed the importance of research and development for this field, and underlined how complex this process is: before a new product - say a shoe - is presented to the buyers by fashion brands (and such presentation usually happens one year before the shoe lands in the stores), there are months of designing and research. Before the shoe designing process starts, there is the R&D process in the tanneries. 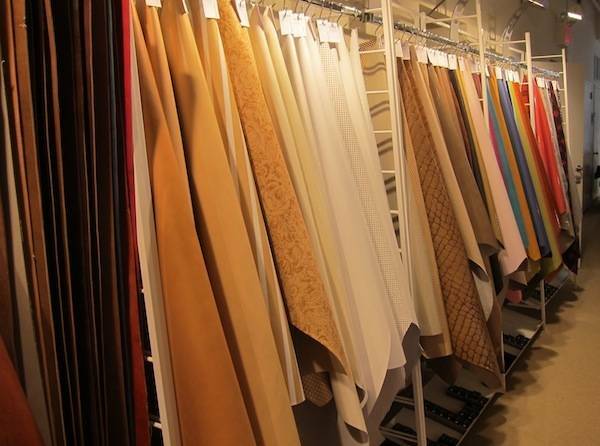 And before that, there is R&D in the factories who produce the chemicals for the tanneries. Thus, companies have to be able to anticipate the demands of the fashion market years ahead of time. FYI, rumor has it that the upcoming colors will be green, orange and blue.